The Iceland Energy Summit was held in London on November 1, 2013. The event was organized by the British-Icelandic Chamber of Commerce (BICC) and hosted by Bloomberg. The event provided insight into Iceland’s renewable energy resources, the birth and growth of the data storage industry in the country, as well as the search for offshore oil on the Icelandic continental shelf. Strong focus was on a plan for an undersea power cable to connect the British and Icelandic grids. This plan or proposal is attracting strong investor interest, according to Mr. Charles Hendry, the former Energy Minister of the United Kingdom and current Member of Parliament. Mr. Hendry, who promoted the project, said that there’s “no doubt that in Britain the political will is there, so if there is a political will in Iceland, we want to work together”. According to Mr. Hendry the project offers low-risk, predictable returns attractive to institutional investors including pension funds. The UK is preparing to change policies needed for the cable, Mr. Hendry said. 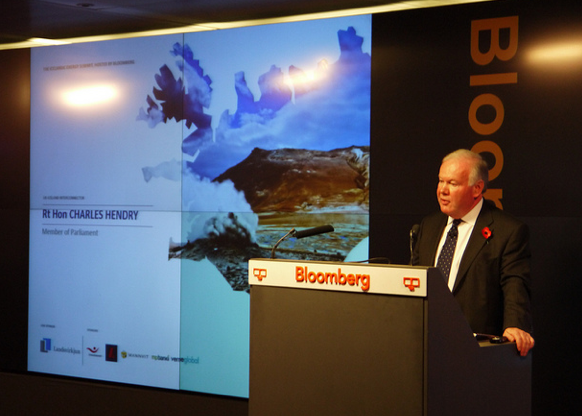 In May last year (2012), Mr. Hendry helped spur an agreement between Iceland and the UK to explore proposals regarding the cable (sometimes referred to as the IceLink). The cost of the link is still not clear, but if it will go ahead it could probably be completed within 7-10 years.. It would extend more than 1,000 kilometers, thus be longer than any of the subsea electrical cables currently in operation. Electric cables like that already connect the grids of Norway and Britain to the Netherlands. The Dutch grid operator (TenneT) is planning links between Germany and Norway and the Netherlands and Denmark. There are already connections of this type between Britain and France, between Vancouver island and Canada, between Sardinia and Italy, and between Tasmania and Australia, to name a few well known examples . 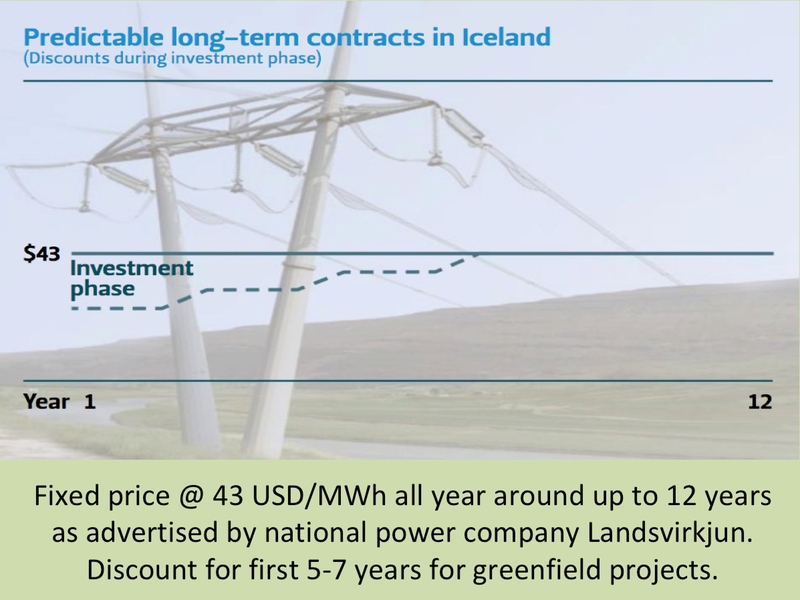 According to Bloomberg, Mr. Andrew Perkins, a partner in energy and environmental finance at Ernst & Young, stresses that these assets are attractive to financiers, suggesting that the capital costs to build the IceLink should be financed by the private sector. 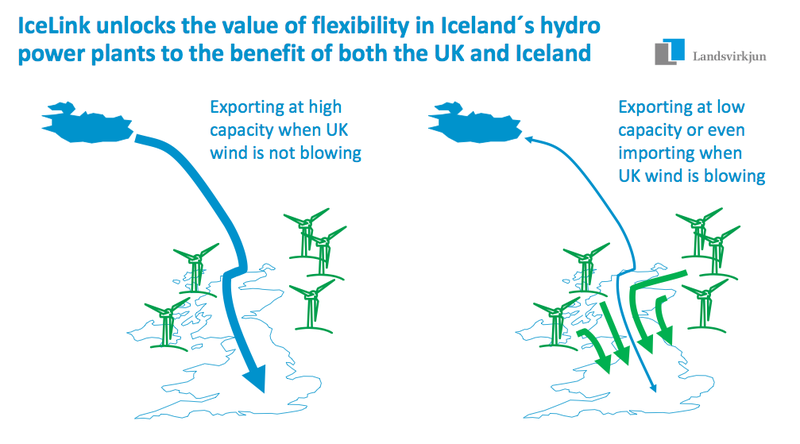 As close to 100 percent of all electricity generated in Iceland comes from natural renewable sources, and several promising renewable energy options are still unharnessed, the IceLink offers great opportunity for the UK to access substantial green power at a very competitive cost. Here, at the Icelandic Energy Portal, we will soon be covering the Energy Summit in more details. Note that the slides (and videos) from the event can be downloaded from the website of the BICC.